The Island of Capri (pronounced KAH-pree) became famous as the vacation retreat of emperors Augustus and Tiberius. The island’s harsh terrain is not only beautiful, but it’s easy to defend – making it the perfect place for an emperor to relax. Caesar Augustus found the place so intriguing that he traded his family’s nearby private island and added Capri to his household’s personal holdings. Tiberius, the successor to Augustus, went on to construct 12 villas here. Growing tired of the politics in Rome, Tiberius actually ruled the empire from Capri for the last few years of his reign. Meaning “island fit for goats,” the island of Capri is very small and rocky. Measuring at 4.0 sq. miles (10.4 sq. kilometers), Capri is home to just two towns: Capri and Anacapri. While Capri is situated just above the coastline, Anacapri sits about 1,000 feet above its sister city, towering over the crystal blue waters below. Although these two towns used to harbor a fierce rivalry, the people of the island are extremely kind and welcoming to tourists of all stripes. Because Capri is an island, getting there takes a bit of extra effort. Still, because of its location, it makes for a perfect day trip from Rome or the Amalfi Coast. If you’re coming from Rome, you can hop on a boat from Naples to the island. From the Amalfi Coast, catch a ride in Sorrento. From either destination, it takes less an hour to sail here. If you’re pressed for time and want to get the most bang for your buck, you should consider taking a guided tour of Capri. It’s a great way to see the island and learn a lot about it in a short amount of time. We’ve used the City Wonders VIP Capri in One Day Tour and would highly recommend it. Although the tour of the island lasts about 4-5 hours, the City Wonders Tour leaves from Rome and is an all-day affair. Once you get to the island, you’ll meet up with a local guide and embark on a guided walk through both Capri and Anacapri. There’s also an option to add-on a trip to the Blue Grotto for a few extra Euros. Our group leader Ettore was full of insightful information, humor, and a pleasure to travel with. Local guide Fabian Rawnsley actually lives in Anacapri and is licensed to guide throughout the region. He was professional, knowledgeable, and provided us with a great tour! Blue Grotto – While the island itself is the main draw, the Blue Grotto is its most famous attraction with about 3,000 tourists a day visiting the Blue Grotto. Inside the cave, the sun’s rays penetrate underneath the water, turning the reflection into a brilliant shade of blue. The ride through the Blue Grotto lasts only about 5 minutes, although it does take a little over half-an-hour to get there by row-boat. You can purchase tickets (which run approximately €14 for the entrance fee and boat ride) by the small boats at the Marina Grande. Be sure to check the weather and the tides before going, as the Blue Grotto will close if conditions are not right. Gardens of Augustus – The €1 that you’ll spend to enter the Gardens of Augustus will be the best money you spend on your entire visit Capri! Just minutes from Capri’s Piazzetta, getting to the gardens is an easy and scenic walk from the center of town. Once owned by German businessman Friedrich Krupp, the park was renamed for Caesar Augustus after World War II. The gardens themselves are nice, but what you’re really there to experience is the view. From the lookout, you can soak up the most amazing views on the island – views that rival that of any place in the world. If you see nothing else while in Capri, this is one spot not to miss! Villa Jovis – If you’re into Ancient Roman ruins, Villa Jovis is the best spot to find them in Capri. This was one of villas built by Emperor Tiberius. Not as well-preserved as many ruins in Rome, you can still see the foundations of the emperor’s apartments and servant’s quarters. 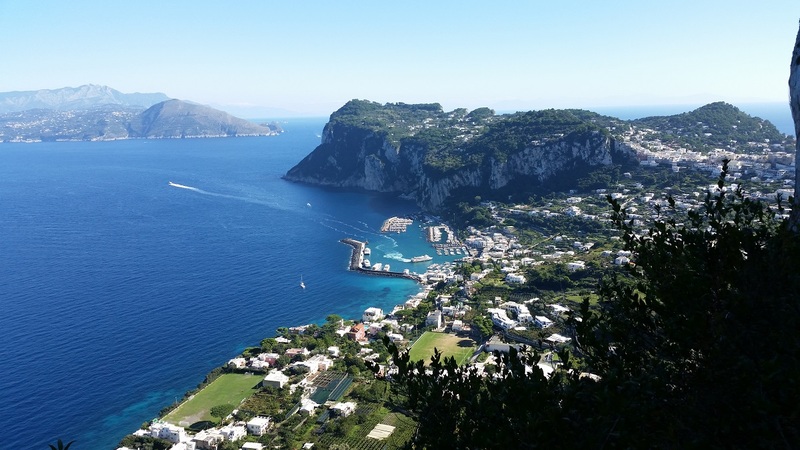 It will cost you €2 and a 45-minute hike from the center of Capri town. Piazza Umberto – Known affectionately as La Piazzetta, this small square is the center of activity in Capri and serves as the meeting point for celebrities and tourists alike. Located in the center of town, it’s often called “the theater of the world.” Grab a gelato and a limoncello before you some time people watching here. Carthusia – On your walk to the Gardens of Augustus, be sure to stop in the Carthusia perfume laboratory and shop. Legend has it that the first perfume in Capri was made by the monks (who lived adjacent to the current shop) in 1380. That same special formula was rediscovered in 1948, and the smallest perfume laboratory in the world – Carthusia – was born. Today, you can walk through the store and actually watch the alchemists working in the lab through the glass windows behind the counter. It’s a cool experience, and one you should definitely see and smell. Shopping – If you love high-end shopping, Capri is the place for you. Even if you’re not a shopper, at least take a stroll down Via Camerelle – which is like the Rodeo Drive of Capri. There, you can window shop at stores like Gucci and Luis Vuitton, or shop for your very own Capri Watch. To get to Anacapri, take a taxi up the winding, one lane, cliff-side “Mama Mia” Road – but don’t look down. Actually, do! The view is incredible, even though you’re bound to imagine tumbling off the cliff 1,000 feet straight down to your death. Once you get to the top, you’re in Anacapri. You’ll immediately notice the fresh scent of the lemon groves and experience the more laid-back vibe. 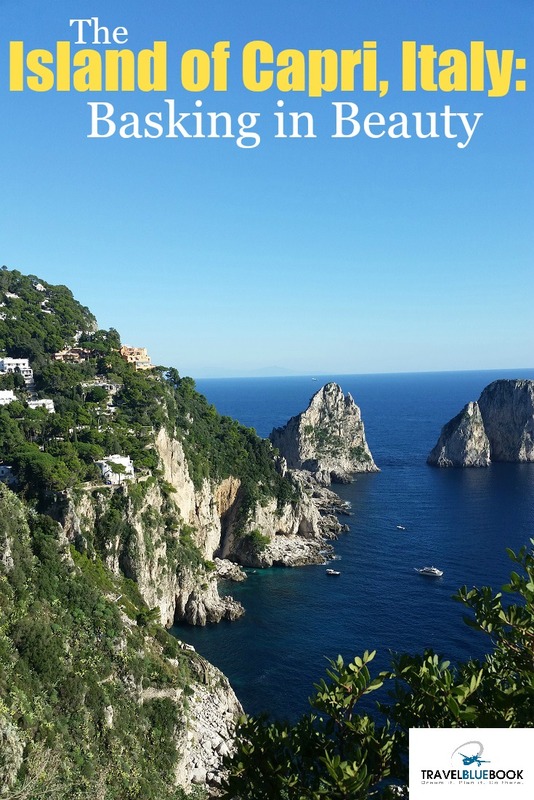 Here are a few things in Anacapri not to miss! Villa San Michele – The building itself is a mansion built by Swedish doctor Axel Munthe in the 19th century. For €7, you can tour the mansion and a small exhibit on Munthe. More importantly, walk past the mansion to one of the best scenic outlooks on the island. There, you’ll get an absolutely amazing view of Capri town, Marina Grande, Naples, the Amalfi Coast, and Mt. Vesuvius. Additionally, you can continue down the path to a flight of about 900 steps that winds all the way down to the sea. Villagers used to use this staircase to go back and forth daily! The lookout is free, and the view is one you shouldn’t miss. Chairlift up Monte Solaro – Take a 12-minute ride by chairlift to the island of Capri’s highest point, Monte Solaro (1,932 ft, 589 m). Here, you’ll get the best unobstructed view of the area. You’ll find the ticket booth and chairlift entrance just off the Piazza Vittoria. The ride costs €10 for a round-trip ticket, but be advised that you’ll be riding up alone. The chairlift seats hold only one person apiece. So, if cuddling your boo usually helps take your mind off of heights, you’re out of luck. Limoncello di Capri – Limoncello is a delicious liquor that was born in Capri, so it’s no surprise that you can find the best limoncello around right here. Made from the “Oval of Sorrento” lemon, you’ll love the strong but smooth flavor. On your way to the Villa San Michele, make sure to get a sample at the Limoncello di Capri store – then buy 3 or 4 bottles for yourself. They also have lemon-flavored chocolates and candies that are to die for! Handmade Sandals– As you walk through town, be sure to check out the handmade sandal shops. Stop by to get your foot measured, and have a pair of new sandals hand-made just for you in about 30-45 minutes. At a cost of about €80, they aren’t cheap. But, they are a quality shoe and a souvenir that is unique to Capri. Since the island of Capri is so small, getting around is relatively easy. There are very few roads, so it is pretty tough to get lost. The best way to explore both of the towns is by foot. With plenty of walking paths, wandering around town is an enjoyable, relaxing experience. If you are heading up to Anacapri, resist the temptation to rent a scooter. Take a taxi instead. The Mamma Mia Road is winding and only one-lane. Plus, it’s built along the edge of a giant cliff with barely a guard rail to keep you from falling over. Islanders know how to drive on it. Tourists don’t. Just take a taxi. Again, the best way to get the most out of a day trip to Capri is to take a tour from a local guide. You’ll learn a lot about the area, be shown the best views, and they’ll even set up the transportation for you. I’d highly recommend the City Wonders VIP Capri in One Day Tour. I’ve been a lot of beautiful places, but there are none that are more beautiful than the island of Capri! If you’re in the area, Capri makes a spectacular day trip that you’ll never forget!